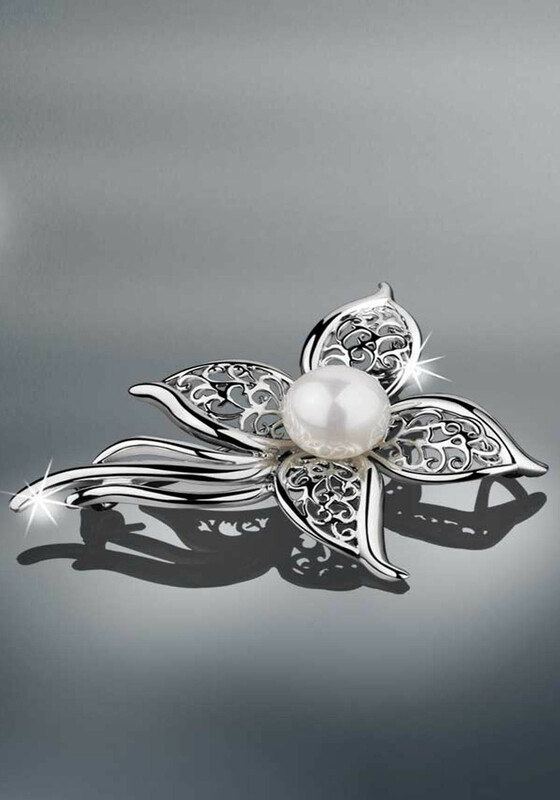 New to The Princess Grace Collection, this beautiful Vintage Pearl Brooch was inspired by the jewellery worn by Grace Kelly- one of the world`s greatest style icons. Matching Necklace available. Sea shell beaded pearl coated with mother of pearl and polished to the final shape. 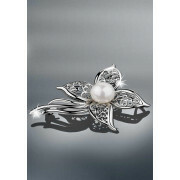 Many successive layers are added producing the high quality replica made from the same materials as a cultured pearl. Presented in a Princess Grace Presentation Box.